Last night, Google went on to release the source code for its latest iteration of Android OS, the Android 4.1 Jelly Bean. And this is great news for all the coders out there as now we would see custom ROMs to drop in every now and then as all the ROM makers and developers look in to give the Jelly Bean their own touch and make use of all its features. 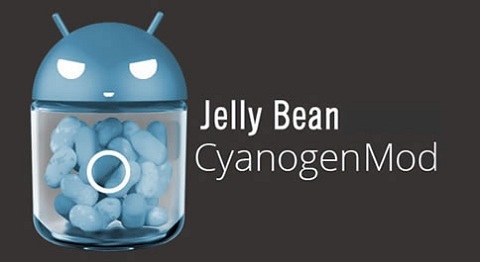 With this the CyanogenMod Team has alerted all its users and lovers that the work on a Jelly Bean flavoured custom ROM would begin soon enough and it would be released only when a much stable version of the ROM is ready. Merge will commence when source is fully downloaded; this means hours not minutes since people all over the world will be hitting these servers. Do not expect nightlies to immediately be available for JB, we will have them up once we are content with where the ROM is. As noted before, this does not change the plan for CM 9 – we anticipate an RC2 and then the stable release. Big shout out to +Jean-Baptiste Queru and the rest of the Android team. CyanogenMod is a popular choice of custom ROM for users as the features included and the way the ROM is developed is sweet. CyanogenMod also went on to assure that the work on CM 9 would also continue and there will be no changes in plan for first, an RC2 and then a stable release.